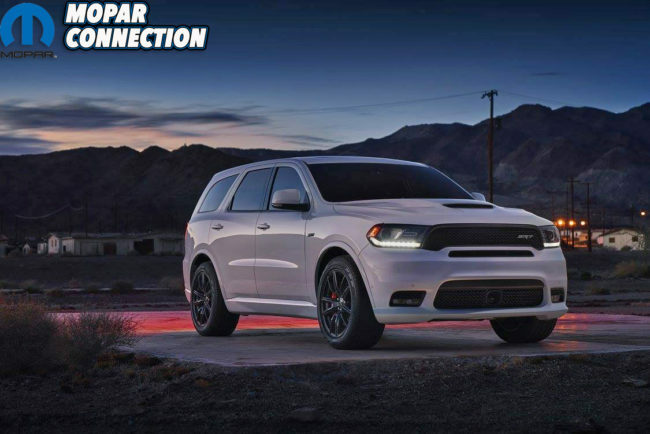 Dodge has just dropped a massive bombshell onto the performance SUV market with the announcement of the 2018 Dodge Durango SRT. 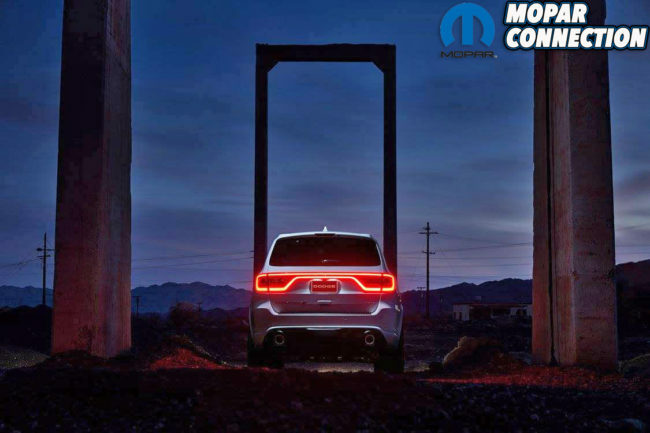 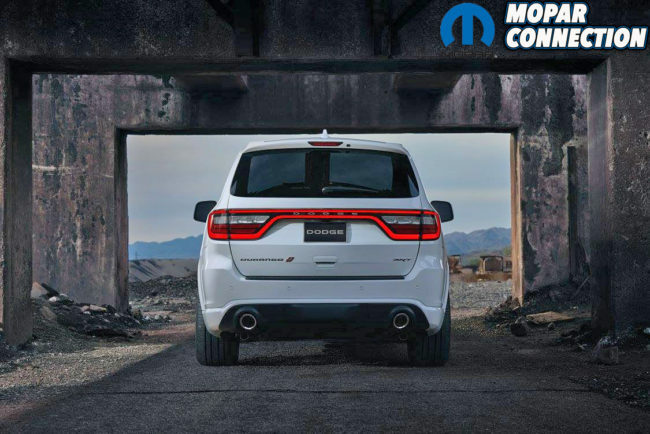 Rumors have circulated for a good year or so about a SRT version of the Dodge Durango but nothing could be proven until now. 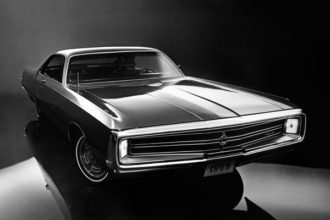 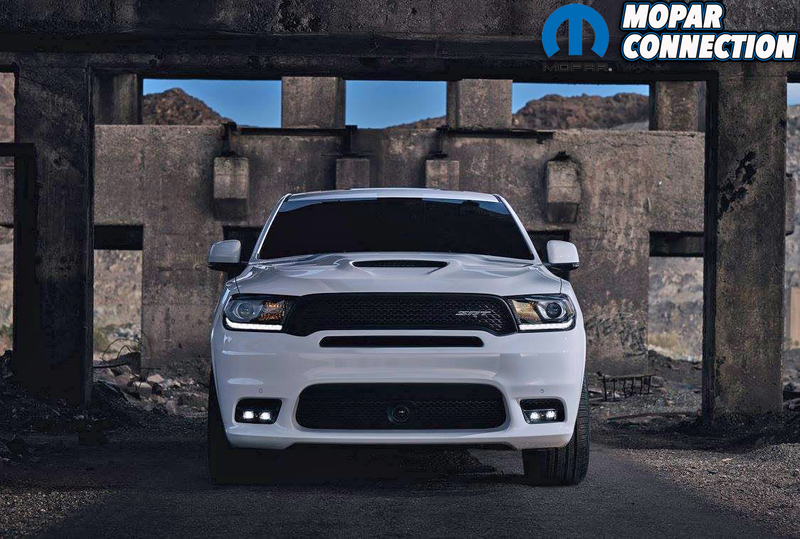 While many hoped for a Hellcat version (this hasn’t been turned down yet) of the Durango or Grand Cherokee; this is the second best thing in our opinions! 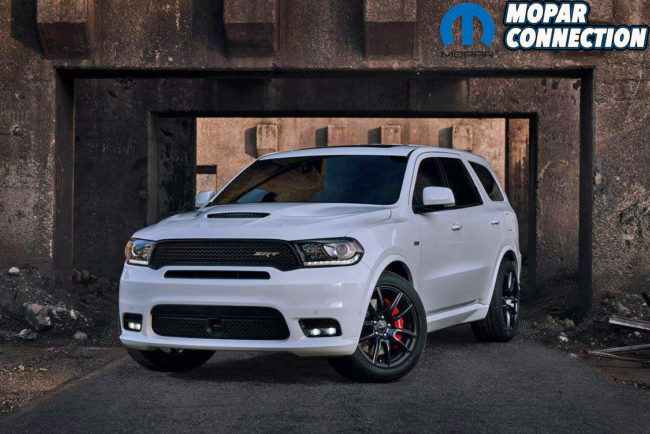 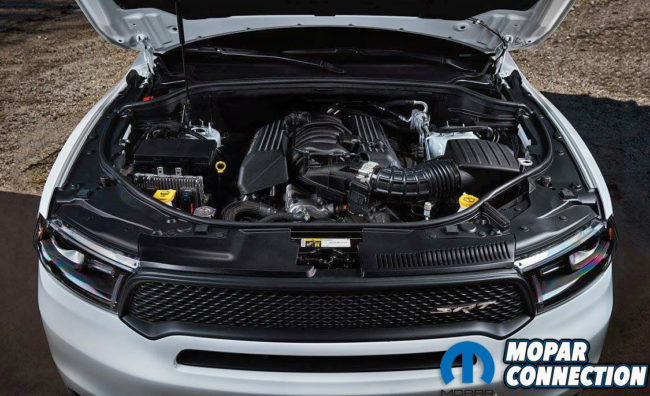 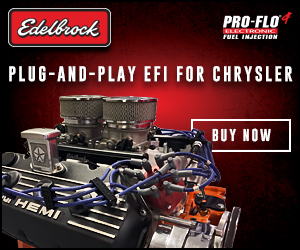 Powered by SRT’s 392 cubic inch 6.4L Hemi MDS engine producing 475 horsepower and 470 lb.-ft. of torque, the Durango has a National Hot Rod Association (NHRA) certified quarter-mile time of 12.9 seconds and is capable of 0-to-60 mph in just 4.4 seconds! 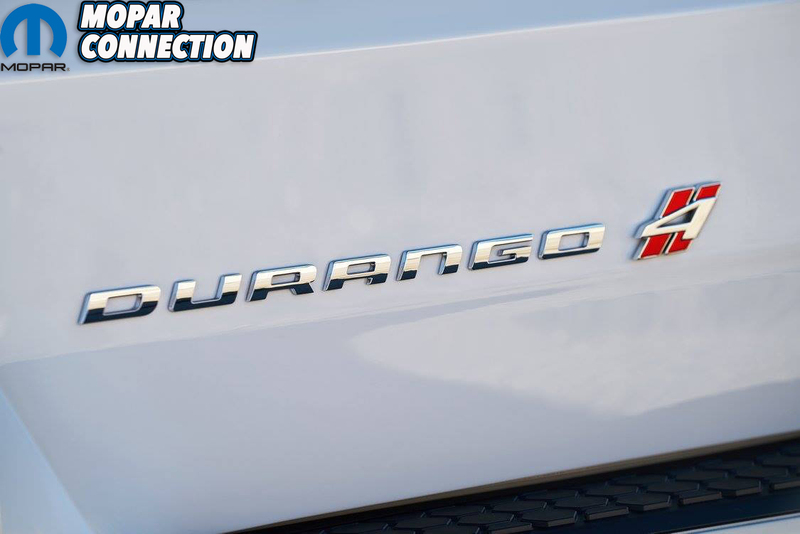 This combined with a best-in-class towing capacity of 8,600 lbs; you just can’t go wrong! 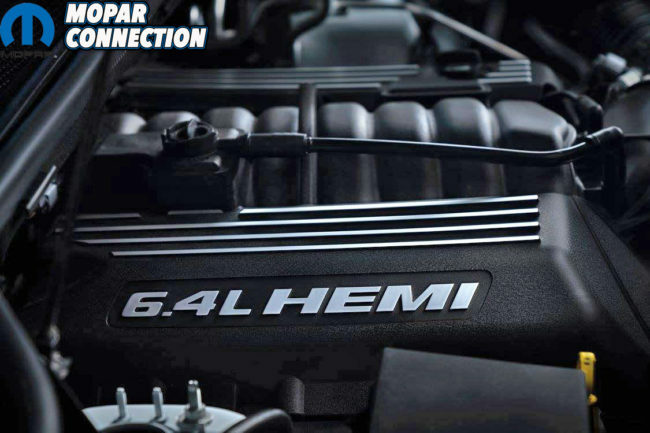 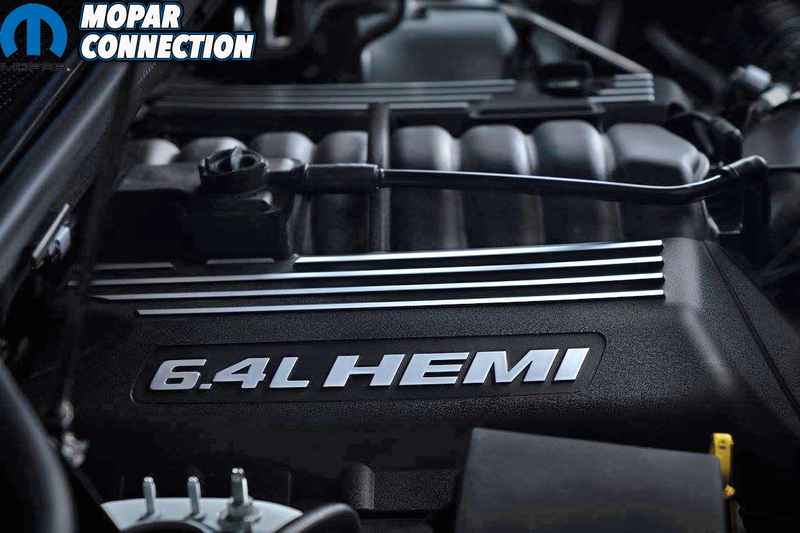 To keep the powertrain running cool for those track days or towing duties, a new cold-air duct borrowed from the SRT Grand Cherokee’s styling provides cooler outside air into the engine. Like every SRT vehicle, the 2018 Durango SRT has been put through rigorous 24-hour track testing for durability and reliability. 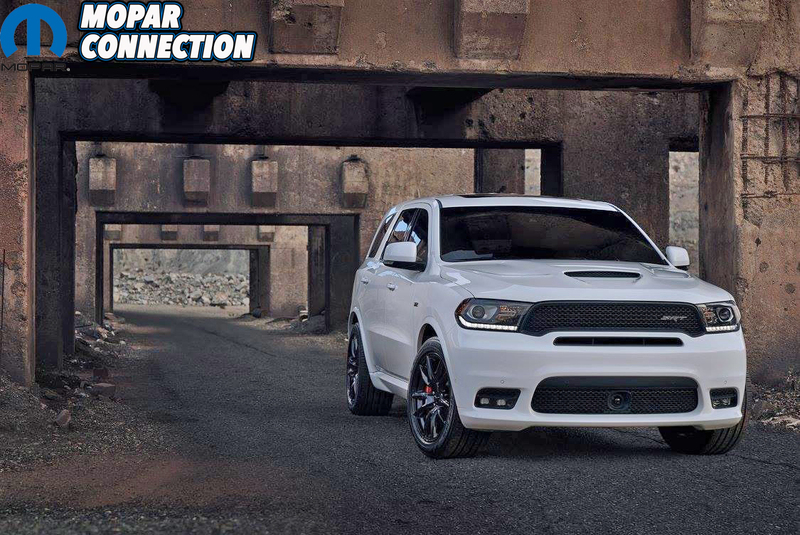 When in “Track Mode,” the Durango’s true SRT bloodline comes out for a maximum performance track driving experience. 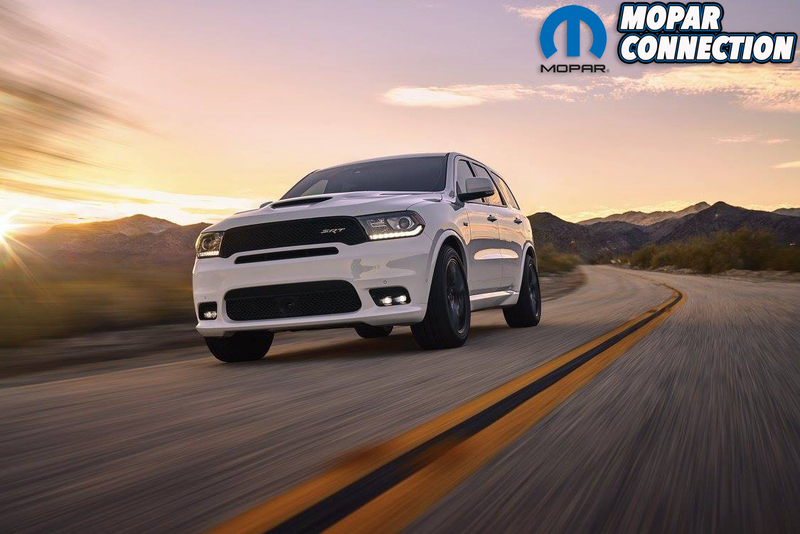 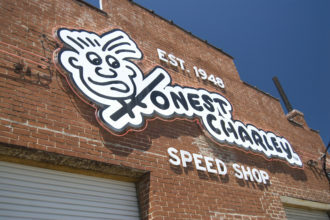 This is achieved with 160-millisecond shifts and up to 70 percent of the engine’s torque delivered to the rear wheels for a true rear-wheel-drive experience. Also featured on the Durango SRT is launch control, which combines all of the Durango’s top settings together for a break neck launch and consistent straight-line acceleration. 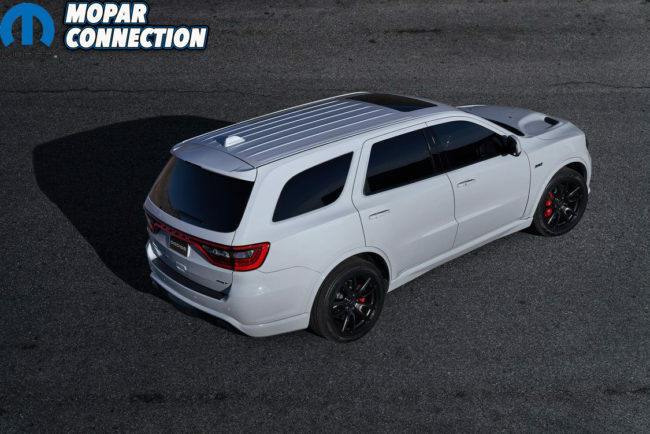 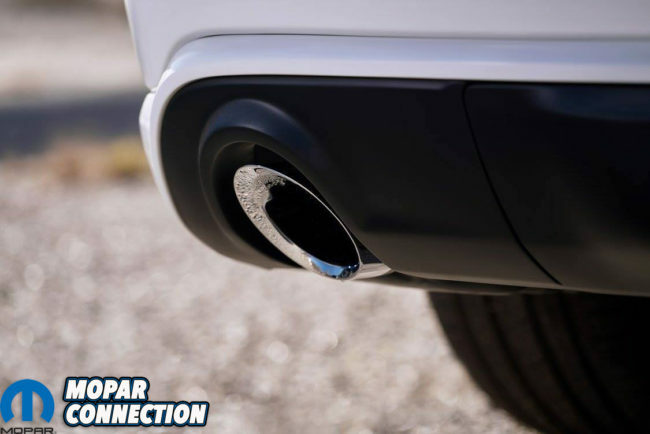 The Durango SRT also features a brand new designed 2.75 inch exhaust system that has been tuned to offer an unmistakably deep, high-performance note that is a staple to the SRT line-up. The Dodge Durango SRT rides on specially tuned Bilstein adaptive damping suspension components and includes 3 percent stiffer front springs, 16 percent stiffer rear springs and an 18 percent stiffer rear sway bar to provide Durango SRT drivers with the outstanding high-speed cornering capabilities that you have come to expect from a SRT product. The Durango SRT also features the SRT seven-mode drive system, which provides the driver the ability to precisely adjust drive settings to maximize performance or comfort. 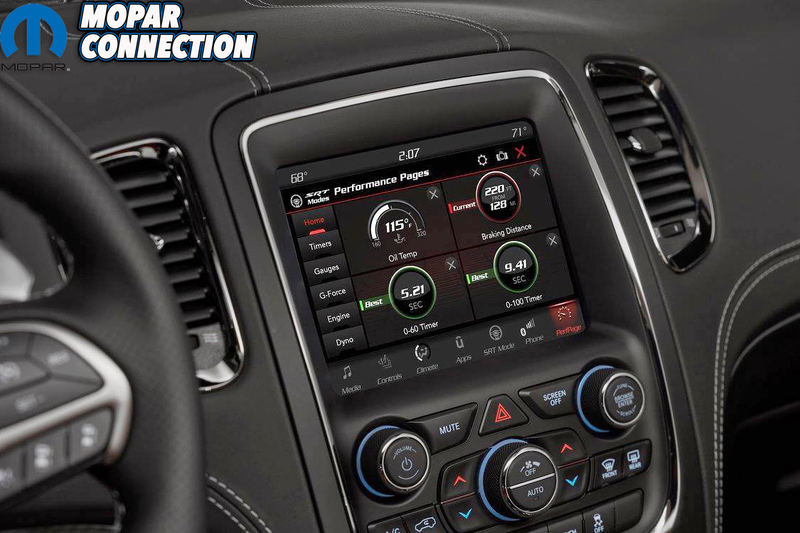 Suspension, torque distribution, shift points, stability control and engine mapping are all controlled through this system. 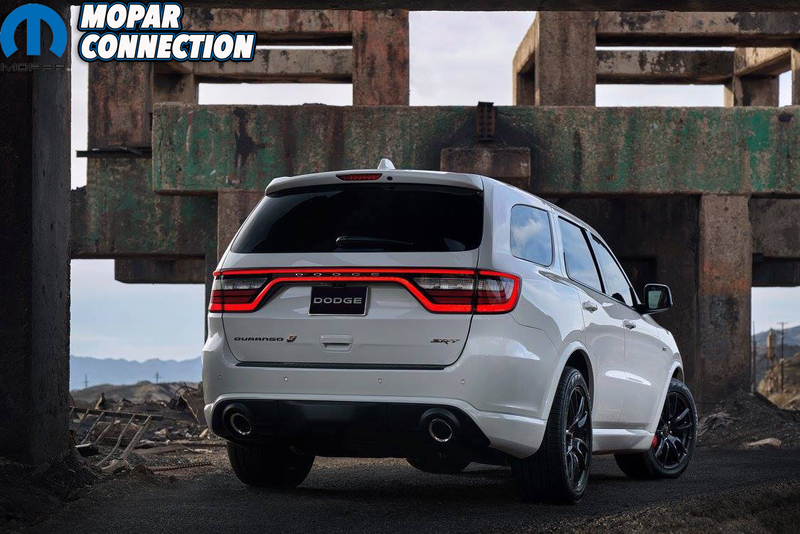 The 2018 Dodge Durango SRT delivers excellent braking performance thanks to massive Brembo high-performance six-piston (front) and four-piston (rear) calipers coupled with vented rotors at all four corners measuring 15 inches (front-slotted) and 13.8 inches (rear). 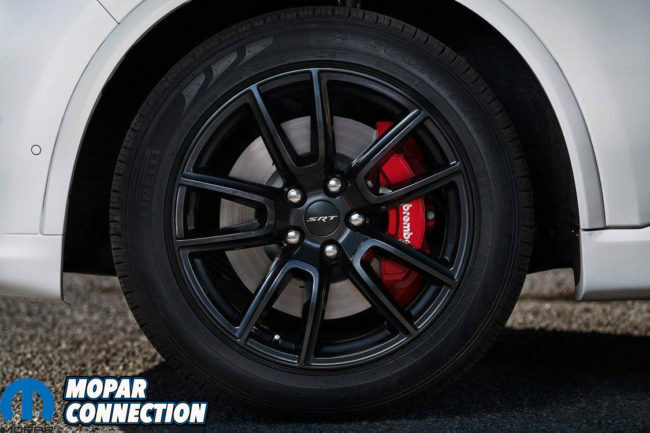 Standard five-spoke 20-inch “Goliath” wheels with a new “Black Noise” finish mounted on Pirelli 295/45ZR20 Scorpion Verde all-season tires or available Pirelli P Zero three-season tires complete the mix. 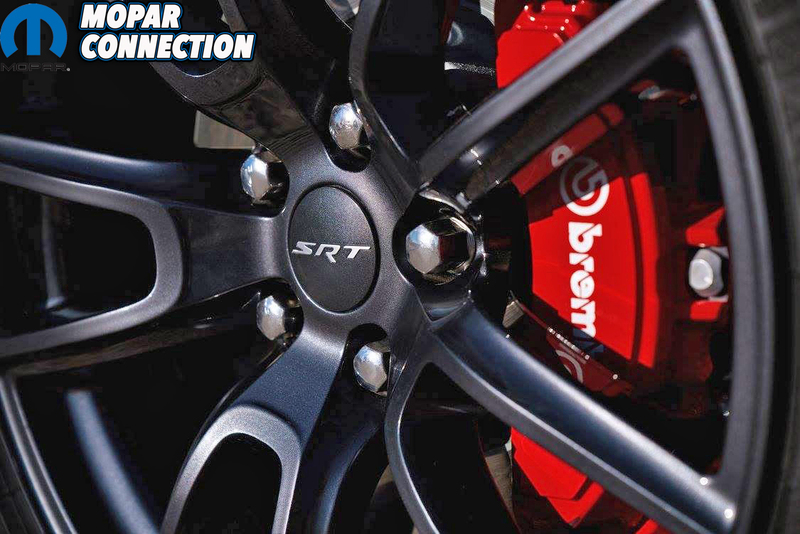 Also available are 20-inch forged aluminum wheels that feature a new split five-spoke design also come in the “Black Noise” finish. Inside the cockpit of the Durango SRT is a hand-wrapped dashboard with live silver accent stitch and SRT flat-bottom performance steering wheel with a light up SRT logo. 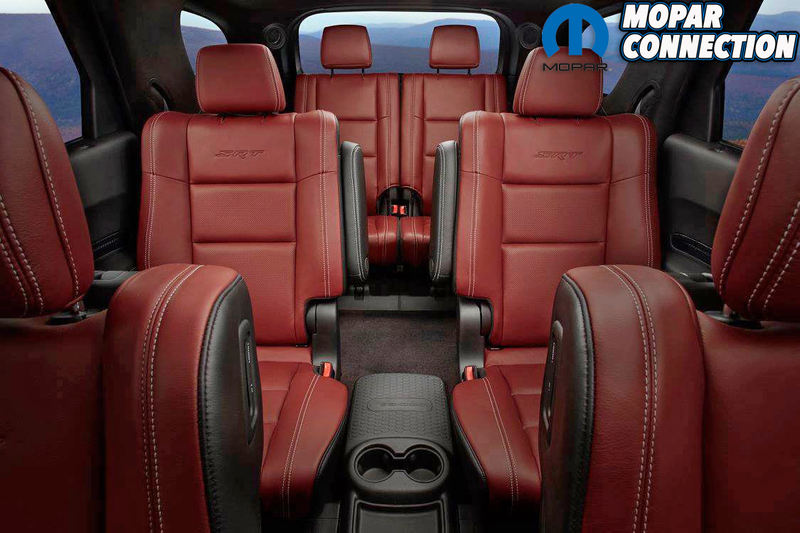 The seven passenger seating has been completely upgraded with standard Nappa leather/ suede insert heated and ventilated front and heated second-row captain’s chairs with silver stitched SRT logos. Demonic Red Laguna leather interior with embossed SRT logos is optional. 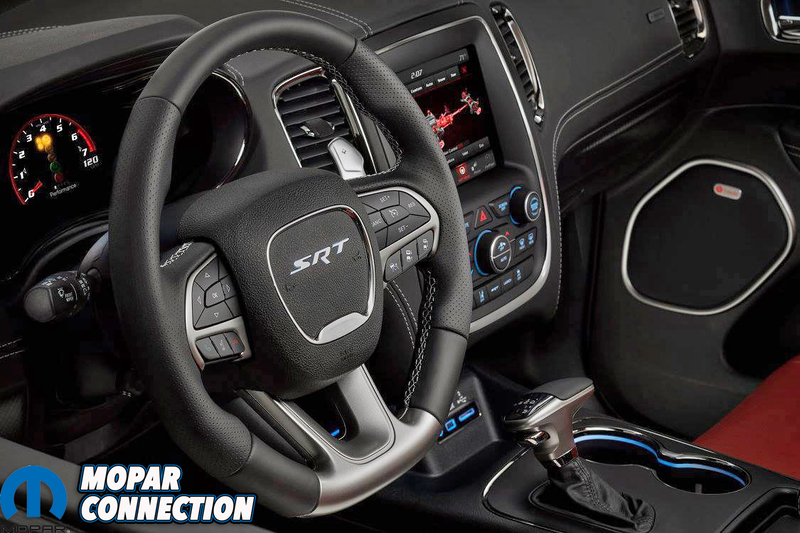 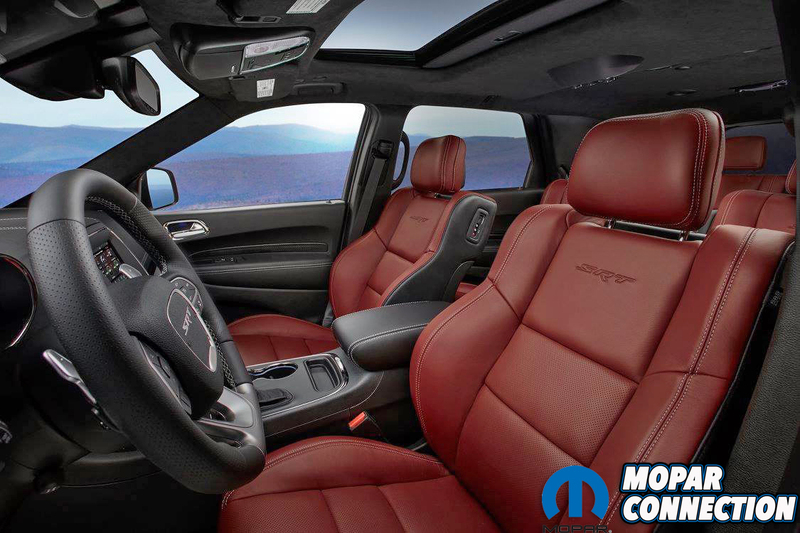 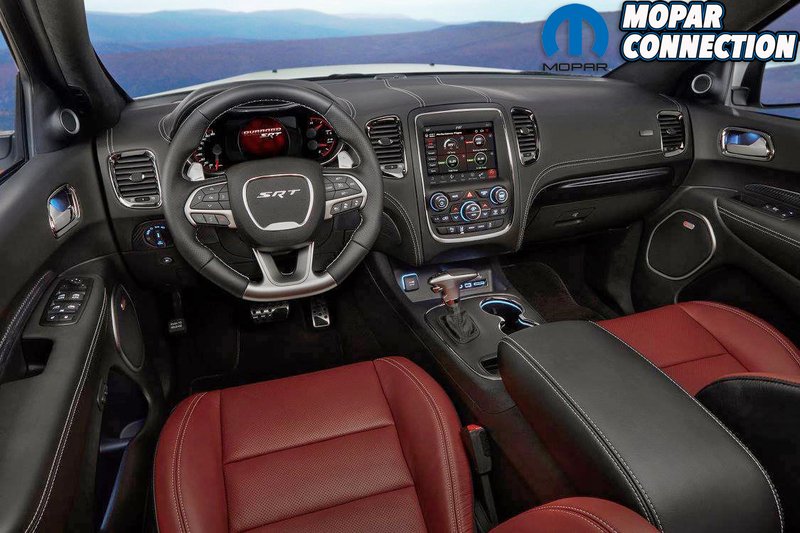 Other features brought to the Durango line-up for the SRT model include new Light Black Chrome center stack, HVAC, full console and door handle bezels along with two choices of decorative bezels. 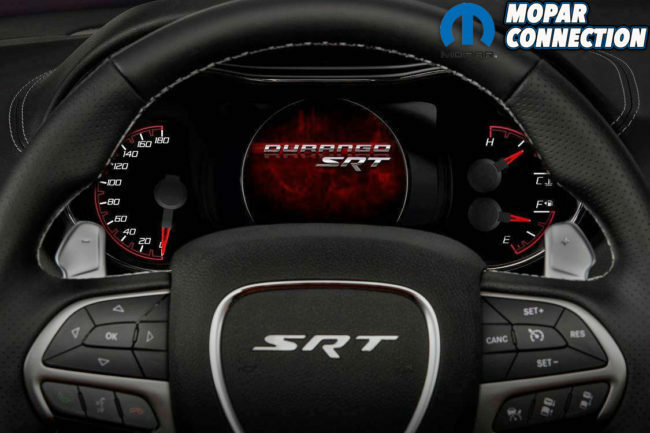 The standard finish is Matte Reverse Chain, and a true carbon-fiber instrument panel and door bezels will also be offered with late availability. 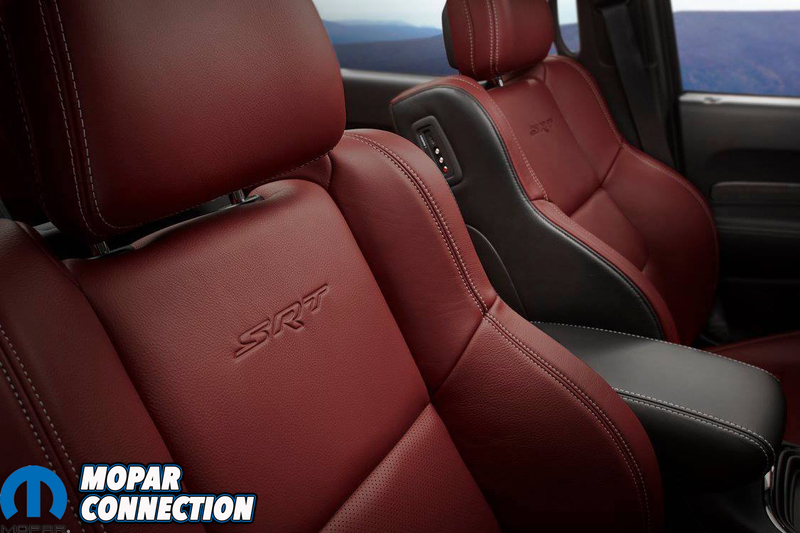 Premium velour-bound floor mats with embroidered SRT logo are standard and the headliner and A pillars are available in Dynamica suede. A newly designed 7-inch, customizable digital instrument gauge cluster with 180-mph speedometer allows drivers to select from a multitude of layouts and information. 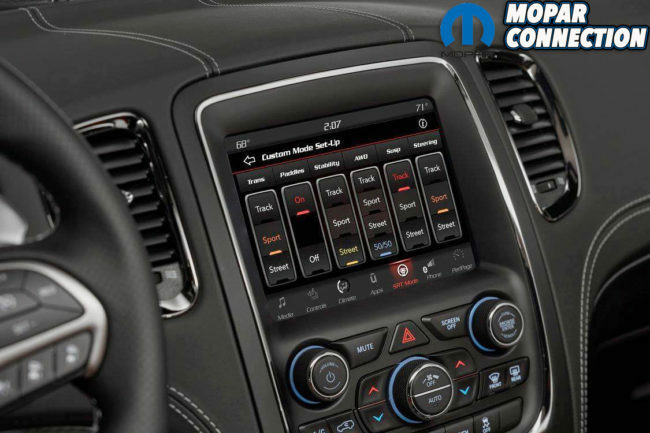 The class-exclusive Uconnect 8.4-inch touchscreen media center houses the new SRT Performance Pages along with navigation, Apple CarPlay, Android Auto, HD radio, downloadable apps and 5-year trial of SiriusXM Travel Link and Traffic. 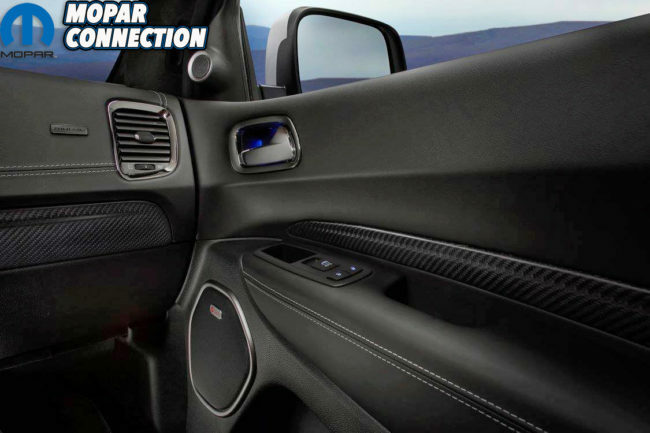 The standard BeatsAudio premium sound system features nine speakers, subwoofer and 506-watt amplifier which will be sure to please all music lovers. 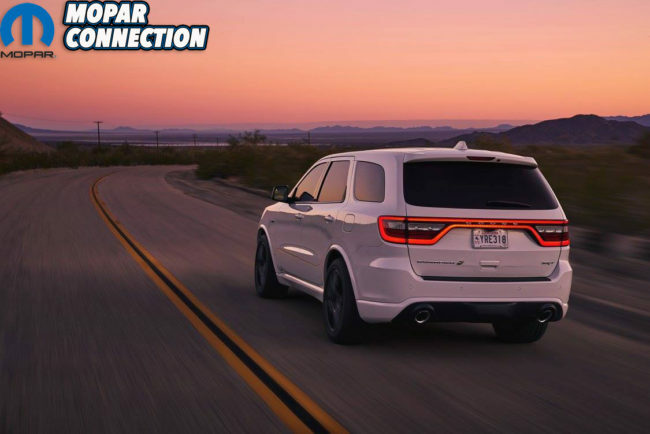 On the exterior, the 2018 Dodge Durango has been given a complete face lift for the SRT model. 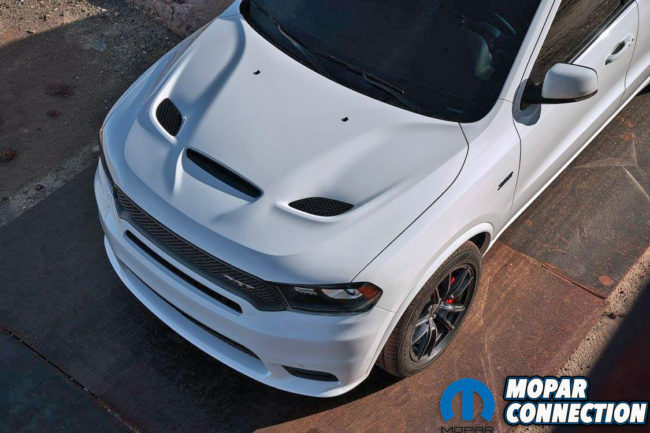 The hood has been totally redesigned with functional center air-inlet ducts flanked by heat extractors for that aggressive SRT Hellcat look. 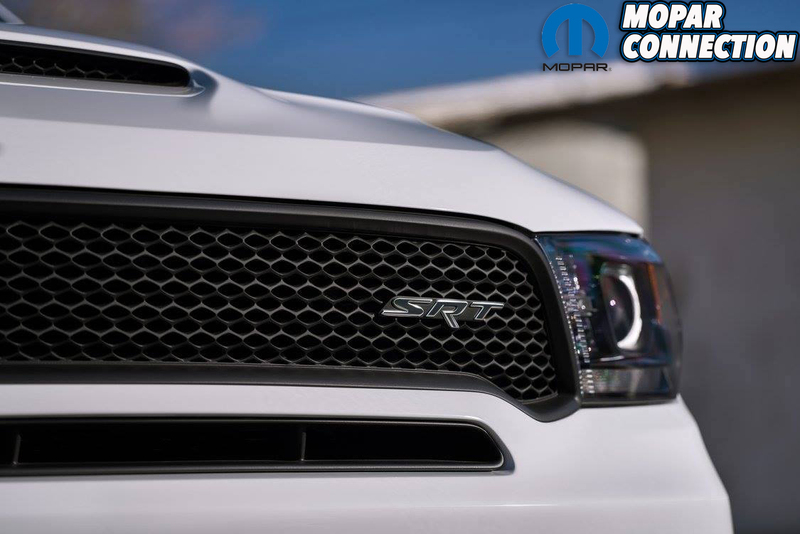 A new front fascia and lower valence is home to the new cold-air duct, LED fog lamps and a SRT-inspired grille mesh pattern finish. 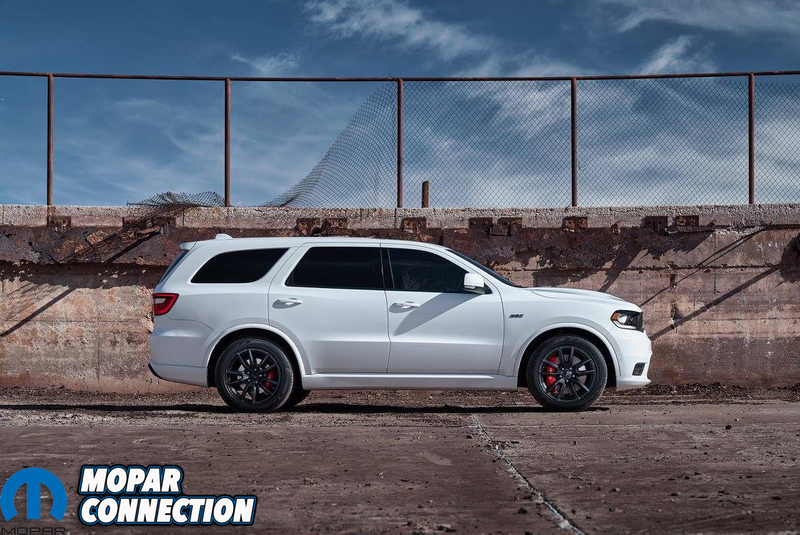 New integrated wheel flares and body-color side rocker panels help provide an aggressive stance. 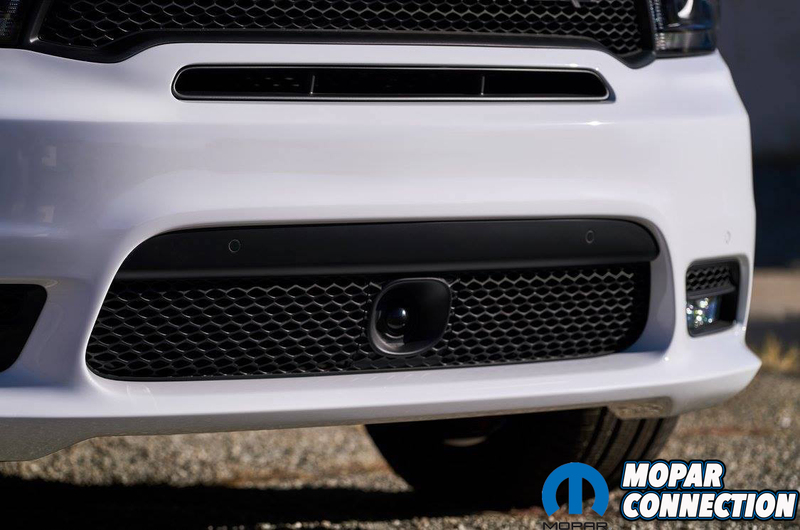 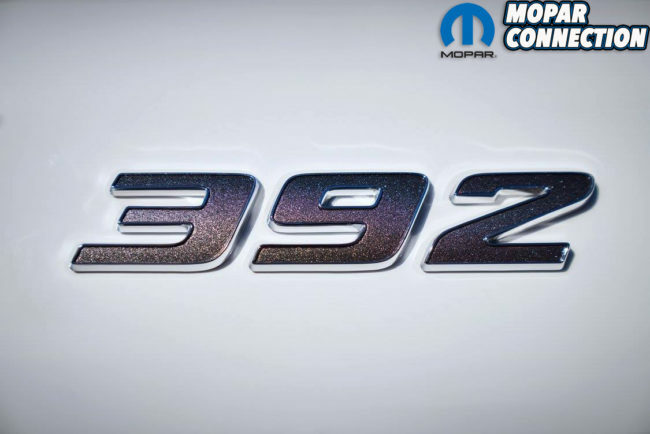 Both front fenders feature “392” badges so those beside you in traffic will not forget what’s sitting under the hood of your Durango. 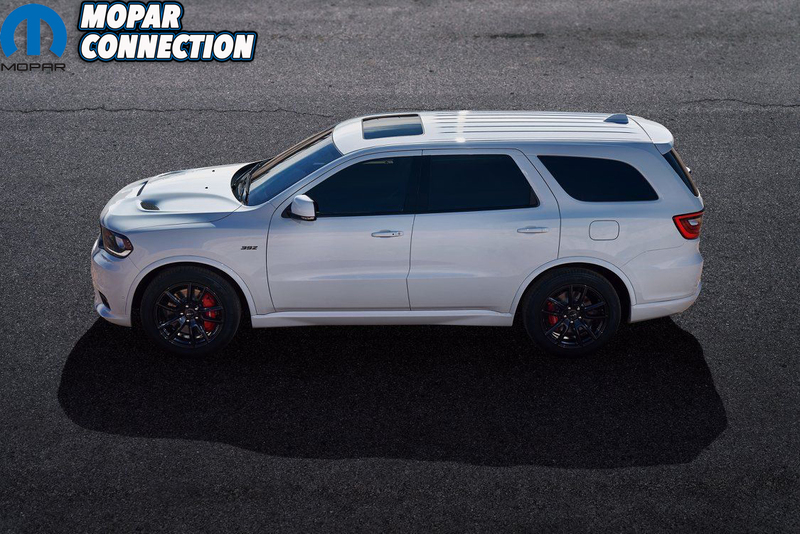 At the rear, a new SRT rear body-color lower fascia with Gloss Black accent surrounds the 4-inch dual round exhaust tips finished in Nickel Chrome. 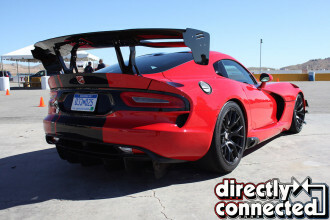 Sorry WK1 SRT Jeep fanatics, this one won’t feature center exit exhaust either. 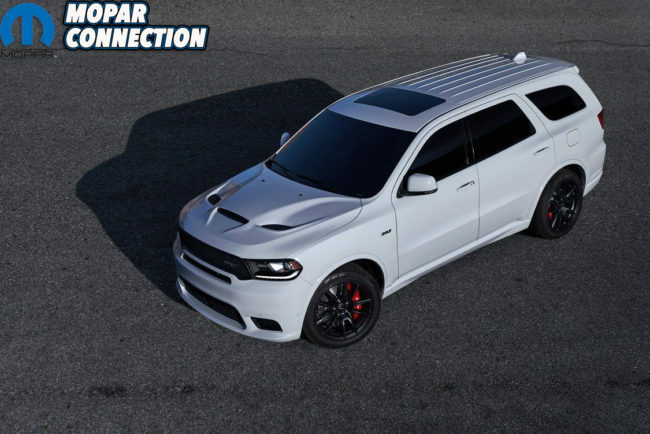 The 2018 Dodge Durango SRT is available in 11 exterior colors; including Dark Black Clear Coat, Billet Clear Coat, Granite Clear Coat, Bruiser Grey Clear Coat, Blu by Yu Pearl Coat, Ocean Blue Pearl Coat, Octane Red Pearl Coat, Redline Pearl Coat, Sangria Metallica Clear Coat, White Knuckle Clear Coat and Vice White. Like all other SRT vehicles, all customers who buy a new Durango SRT will receive a one full-day session at the Bob Bondurant School of High Performance Driving in Arizona. 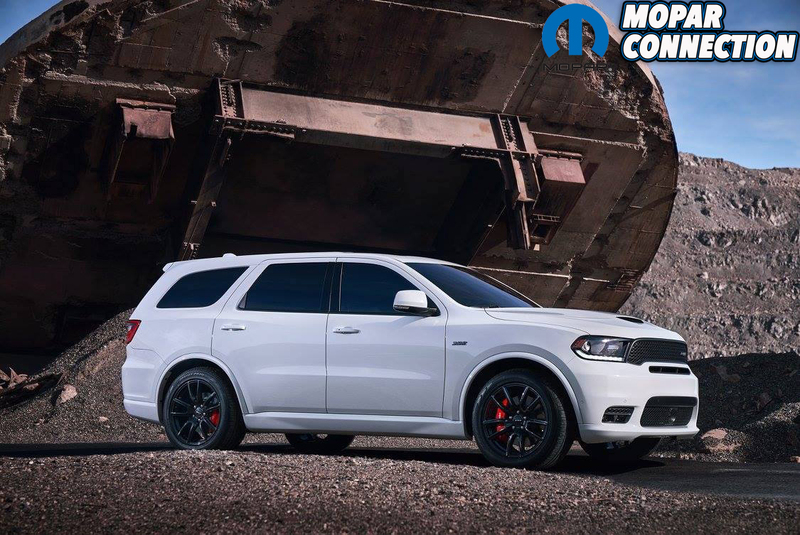 The 2018 Dodge Durango SRT will made its debut at the 2017 Chicago Auto Show on February 9th and will start arriving in Dodge dealerships in the fourth quarter of 2017.